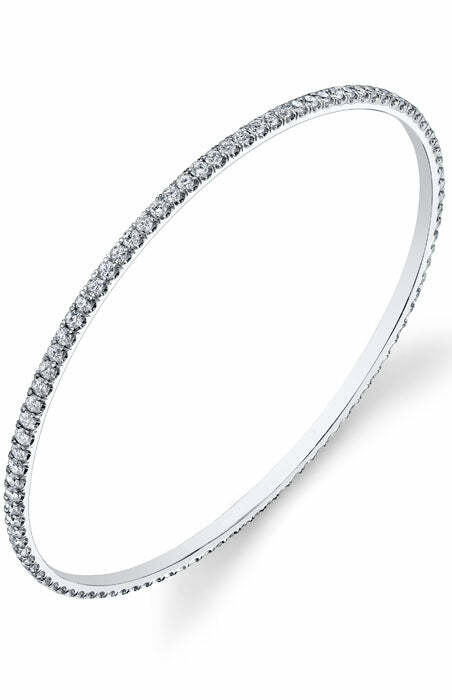 Who doesn’t want jewelry for their birthday?!? This time of year, there is so much talk about jewelry gifts for the Holidays but what about all the December birthdays?? With a December birthday, I know how it can be to lose some of your birthday festivities to holiday festivities. This is probably why the year I turned 10, I suckered my parents into a ½ birthday celebration in June. I thought it was a genius idea! LOL! Tanzanite is probably one of my favorite gemstones! I absolutely LOVE the color and setting it into a necklace is the perfect idea! 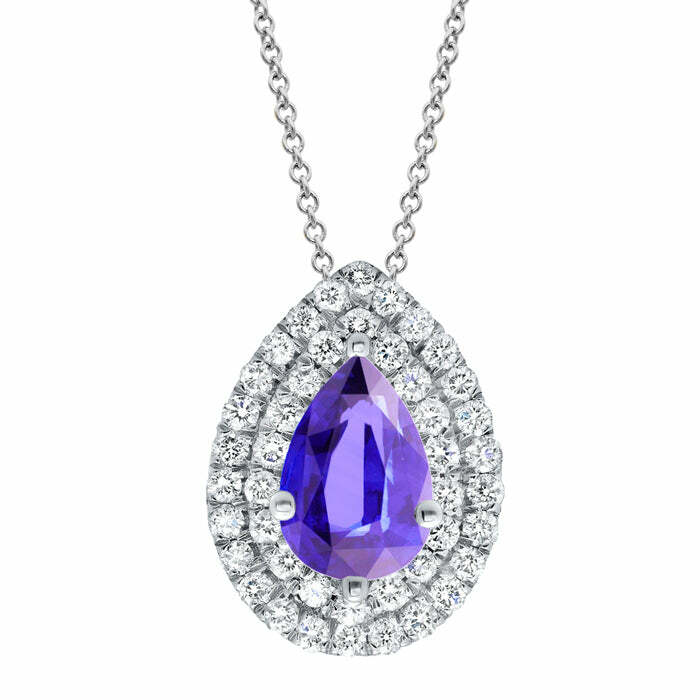 This pear shape tanzanite is surrounded by a double halo of white diamonds… amazing! Tanzanite has come to be a well known December birthstone along with blue zircon and turquoise. 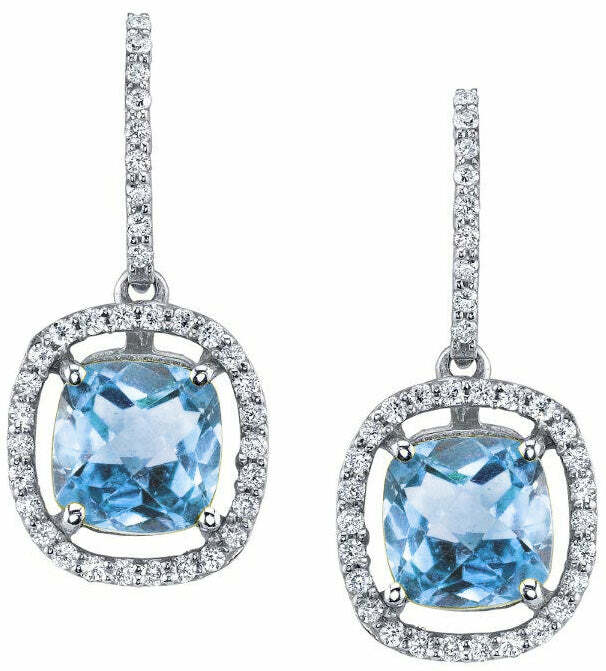 Even though technically zircon is the birthstone for December, I think blue topaz is a perfect alternative. These halo earrings are available in white, yellow or even rose gold! To me, all the metal options go perfectly with the light blue color of these cushion cut blue topaz stones. A great birthday gift for any lady who has a December birthday! 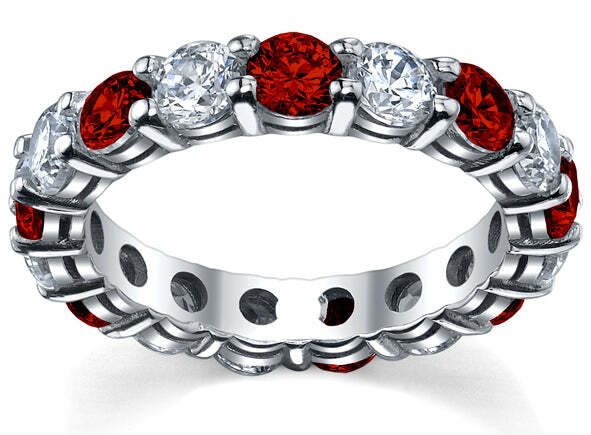 I know, I know…this doesn’t have any of the December birthstones BUT it’s absolutely breathtaking! This is a staple piece that will be perfect for any one born in December or not! J Choose from white, yellow or rose gold, you can’t go wrong … I’d choose the white if it was for me!